216. Faith in Medicine: Is this a Religion? As I was sorting out some old books, I came across this one entitled: “Confessions of a Medical Heretic” written by Dr Robert S Mendelsohn, which was first published in 1979 (1). This is an absolutely damning account of medicine and although it is based on the author’s experience in the USA, there are elements which apply to most other developed countries. While it is almost 40 years since it appeared, the critique is still valid. Arguably things have got even worse since then. The position in the UK is still some way behind that of the USA but all the indications are that it is moving in the same direction. To make matters even worse, there is are numerous dangerous procedures which are widely used for non-diseases. It would be possible to dispense with 90% of Modern Medicine and the result would be an immediate improvement in public health standards. In one clinic in Cleveland over a one-year period, there were 2,980 open-heart operations, 1.3 million laboratory tests, 73,320 electrocardiograms, 7,770 full-body X-ray scans, 210,378 other radiological studies, 24,368 surgical procedures. The author states quite bluntly that none of these procedures has been proved to maintain or improve health. No doubt many would challenge this conclusion but there have been enough examples in recent years to indicate that he has a very valid viewpoint. Laboratory tests. In 1975, a nationwide survey by the Centers for Disease Control (CDC) reported that up to 40% of bacteriological testing was unsatisfactory and over one quarter of all tests were not accurate. The CDC only regulates 10% of laboratories which means there is even less control over the others. A study in New Jersey found that only 20% of laboratories produced reliable results more than 90% of the time. Blood pressure (BP) measurement. Even though raised BP may be just a temporary blip drugs may be prescribed. Many of these have ADRs. However a study conducted in 1970 found that these drugs can cause non-fatal heart attacks and pulmonary embolisms, which were not outweighed by any reduction in mortality. Many women are subjected to breast X-rays despite the fact that this procedure is not justified for women under 50 years old with no symptoms and with no family history of breast cancer. This procedure is also of dubious value for women over 50 because the breasts are particularly sensitive to X-rays. The widespread use of antibiotics. Very often penicillin is prescribed for conditions such as the common cold even though this is a viral infection which is not affected by the treatment. Nevertheless it can cause reactions including skin rash, vomiting and diarrhoea. Tetracycline was being overused so much in the 1970s that the FDA had to issue a warning because of the damage it could cause during the development of teeth during pregnancy and early childhood. We are now having to cope with the extensive resistance to many antibiotics which has occurred which means that many antibiotics are no longer effective to deal with the genuine threats of bacterial infections. Many drugs have ADRs and many individuals have suffered because of their use. For example, there was a high rate of vaginal cancer in the daughters of women taking diethylstilbesterol (DES) and the women themselves had an increased death rate from cancer. One specific issue highlighted is the cozy relationship which existed between the drug companies and the doctors. At that time the companies were spending an average of $6,000 per annum on every doctor in the USA in order to influence them to use their drugs. Since most of the information on the efficacy and ADRs of these drugs is based on information generated by the companies themselves, there has to be serious doubts about the quality and reliability of the data. An investigation by the FDA found that 205 of physicians doing clinical trials were guilty of unethical practices, including giving incorrect doses and falsifying records. In one third of the reports checked the trial had not actually been conducted. In another third, the correct protocol had not been followed. Dr Mendelsohn is highly critical of the medical profession. In his view they have allowed themselves to be corrupted and are much more interested in making money than in protecting and helping their patients. 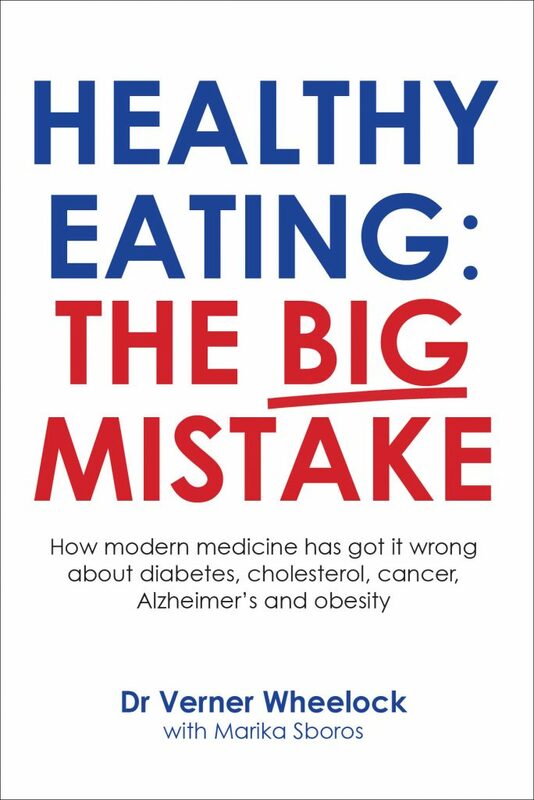 Although it is well over 30 years since this book was written, there have been numerous reports which not only confirm what Dr Mendelsohn has described but conclude that things have deteriorated since. For example, in his Reith lectures, delivered in 2014, Dr Atul Gawande described a comparison he made between the medical facilities in 2 Texas communities (2). One was McAllen and the other was El Paso County. Both of these counties have a population of roughly seven hundred thousand, similar public-health statistics, and similar percentages of non-English speakers, illegal immigrants, and the unemployed. Yet in 2006, Medicare expenditures which is the best approximation of the costs of health care in El Paso was $7,504 per enrollee—half as much as in McAllen (3). There was no evidence to indicate that the treatments and technologies available at McAllen were any better than those found elsewhere in the country. The annual reports that hospitals file with Medicare show that those in McAllen and El Paso offer comparable technologies—neonatal intensive-care units, advanced cardiac services, PET scans, and so on. Public statistics show no difference in the supply of doctors. In fact Mc Allen actually has fewer specialists than the national average. Dr Gawande eventually gained access to commercial insurance data which revealed that compared with patients in El Paso and the country as a whole, patients in McAllen were given more diagnostic testing, more hospital treatment, more surgery and more home care. More detailed information was obtained from Medicare payment data. This showed that between 2001 and 2005, critically ill patients received almost fifty per cent more specialist visits in McAllen than in El Paso, and were two-thirds more likely to see ten or more specialists in a six-month period. In 2005 and 2006, patients in McAllen received 20% more abdominal ultrasounds, 30% more bone-density studies, 60% more stress tests with echocardiography, 200% cent more nerve-conduction studies to diagnose carpal-tunnel syndrome, and 530% more urine-flow studies to diagnose prostate troubles. They received one-fifth to two-thirds more gallbladder operations, knee replacements, breast biopsies, and bladder scopes. They also received two to three times as many pacemakers, implantable defibrillators, cardiac-bypass operations, carotid endarterectomies, and coronary-artery stents. And Medicare paid for five times as many home-nurse visits. So Dr Gawande had absolutely no doubt that the primary cause of McAllen’s extreme costs was, very simply, the across-the-board overuse of medicine. Clearly Dr Mendelsohn takes an extreme view. If a person is involved in a motor vehicle accident or is having difficulty breathing then medical assistance is definitely required and can make a big difference. So there are times when it is essential. However, this does not mean that much of what is presented here can be discounted. All the indications are that much of what he says is correct. The current approach is so deeply embedded and reinforced by powerful vested interests that it will not be changed easily. 145. What is Wrong with Modern Medicine? I fully agree with you. I bought Dr. Mendelsohn’s book many years ago and followed up with Lynne McTaggart’s “What Doctors Don’t Tell You” plus Joel Kauffman’s “Malignant Medical Myths”. Yes, Dr. Mendelsohn does take an extreme view, but I find myself more in agreement with him than not when I consider the way medicine is practised today. Especially so when one looks at the USA where medicine is practised very much as a profit focused business rather than a service aimed at providing the best care and advice to the public. Western medicine is at its best when dealing with trauma and modern techniques have saved (extended) many lives and prevented serious post trauma issues. It is often effective with acute illness where a short course of the appropriate medication resolves issues. It is at its worse when it comes to preventing and treating the major serious illness of the Western world such as cancer, CVD and T2D. These three alone demonstrate that much of modern medicine is practised as a religion. Despite the billions poured into cancer research and treatment the outlook for those diagnosed with cancer remains bleak when faced with the standard cut, poison or burn approach. The occasional success is touted as proof that the treatment works meanwhile for the majority that endure the standard protocols they face an uncertain future – if any. Never has so much being spent to achieve so little (from the patients viewpoint – the cancer industry profits quite nicely). However, as mentioned in recent blogs and the referenced books/studies, there are alternative approaches to many cancers that have proved to be successful and that focus on the exploiting the weakness of cancer cells and strengthening the immune system. But what does the pharmaceutical industry do? It ridicules or fails to provide funding for studies as it knows that the success of alternative methods will impact its bottom line. CVD, in all its manifestations, is yet another area where vast sums have been spent to achieve little overall for the patient and much for the industry. There are areas of success, such as pace makers, but, although seen by recipients as successful, the long term success of by-pass surgery is not as without lifestyle/diet changes a by-pass will suffer the same fate as the original artery. There are signs that the foundations of the false paradigm of cholesterol/low fat diet/ CVD are beginning to crack but it still rules. That the very advice given by far too many health professionals directly contributes to the CVD epidemic is morbidly ironic. A simple change in diet and the addition of suitable supplements (primarily to cater for the lack of nutrients in modern food) would be far more cost effective than the unnecessary prescribing of statins and, no doubt, the new kid on the block PCSK9 inhibitors (just wait for the adverse effects to kick in). Leading on from the dietary advice to prevent CVD takes us to diabetes and obesity, both of which are consuming funds at an ever increasing rate. We have the government plus various organizations (quite often supported by sponsorship from the food and pharmaceutical industries) advising us to eat the wrong foods. The food industry is allowed to produce cheap vegetable based oils (promoted as healthy alternatives to those “dangerous” animal fats) plus nutritionally poor and energy dense “foods” that serve only to make people fat and ill. The medical profession, in general, goes along with this nonsense as most still view animal fat as bad and therefore promote the LFHC diet as the answer. When it doesn’t work the answer is drugs or, the new favourite, gastric surgery. I think that, in time, gastric surgery will be seen as a huge mistake. Even in the less invasive form of a gastric band by restricting the amount that people may comfortably eat there is a high risk, without the correct dietary advice, that the intake of essential nutrients will be further reduced. In its more extreme form of by-pass it is guaranteed that the absorption of nutrients will be impacted. All of this just because it is not understood that it is what you eat rather than how much that is important plus by eating the foods that we have evolved to eat satiety will be reached without excessive consumption. Carbohydrate dense foods do not trigger satiety effectively so over consumption is virtually assured and therefore obesity. I think it must be very frustrating for doctors such as yourself to operate within the current system where practicing medicine and providing logical advice to your patients vs. following guidelines that are patently wrong risks serious professional censure. Blog 217 sums up much that is wrong. As a finishing comment: according to a May, 2016 study in the BMJ (http://www.bmj.com/content/353/bmj.i2139) medical error is the third leading cause of death in the USA after heart disease and cancer. The authors of the study report that in 2013 over 250,000 U.S. hospitalized patients (not including those in outpatient services) died due to medical errors. That’s equivalent to approx. 1700 A320 planes crashing each year! I cannot think of any other industry (excluding the war industry) where such a death toll would be remotely tolerated. I have no idea how many of these deaths pass without serious complaint by the affected relatives, but the fact that it continues unabated suggests that many view such tragedies in the same way as many religious people consider various disasters to be an act of God. It appears that medicine is a religion that is not to be questioned. I read Nutrition and Mental Illness by Carl C. Pfeifer and it changed a lot of things in my life. This really makes you wonder who we just trust blindly. I told a girl the other day who was on anti-depressants to do 50 jumping jacks a day to change her life. She said she really had a chemical imbalance, and I told her that exercise supplies endorphins and even serotonin. I’m not positive about the serotonin, but I know that makes you happy and so does exercise.